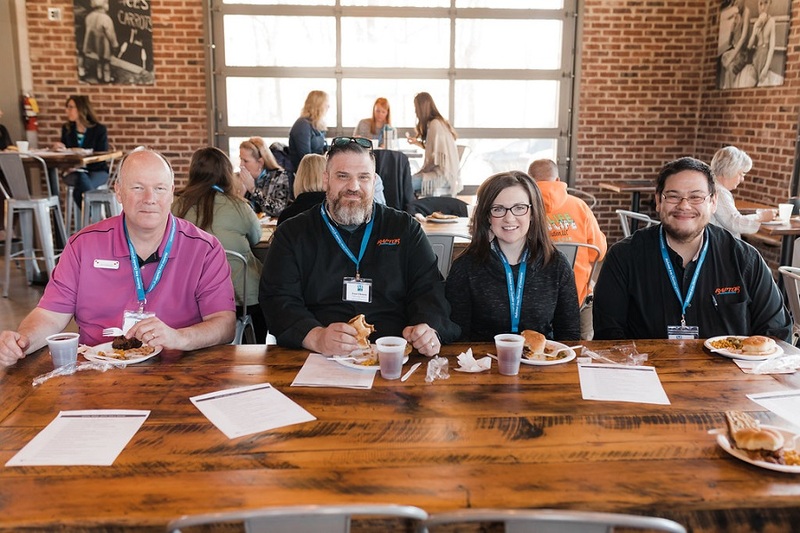 The Mahomet Chamber of Commerce is a great outlet for businesses to stay in touch with our growing community and gain valuable exposure through our member benefits. Social Media & Blog Announcements: Submit content for our team to post to our Facebook Page, co-host an event with the Chamber via Facebook events or write a guest blog post for our website. Chamber Referrals: Your information is available 24/7 through the Chamber’s website. You can have a “Link” from the Chamber website to your very own website. Your own Chamber Home Page designed by you with pictures and Logos. Job, Deal & Event Postings: Your Chamber Master login gives you the ability to post job posting, hot deals, marketspace ads, business directory, events, news items and build your own home page. You can get statistics about people that have visited your site and review these reports. Newcomers Bags: Promote your business with an insert in our newcomers bag for new residents. This is done through Real Estate agents, Loan Officers, Village Office and the Chamber Office. The Newcomers bag contains many promotional items from your business such as giveaways, discount coupons or brochures about your business. Ribbon Cutting Ceremony: This is available for Grand Openings (available one time for each members business unless you move to a new location). Guide to Mahomet Directory: This is a Directory that local business can advertise in for the whole year for a minimal cost. The Mahomet Citizen puts this in the paper in July each year and we also distribute this through Local Businesses, Chamber office, Newcomers Bag, Village Office, Real Estate Office and Library. Exclusive Chamber Event Sponsorship: Enjoy exclusive sponsorship opportunities at events, such as, Golf Outing, Home, Garden & Business Expo, Craft Beer Fest, Ladies Night Out, Mahomet Auto Fest are events during the year. Village Christmas which includes Christmas Walk, Breakfast with Santa and Sampling of the Seasons are events that the Chamber sponsors during the Holiday Season. Advertising Co Op: Chamber Business Members to work together to develop a way to advertise on television or radio to promote “Shop Mahomet First.” This is developed and implemented as desired by the membership. Mailing Labels: For a fee you can get a printed copy of mailing labels for members only or the local business community. Bulk Mailing Permit: Chamber Members have the opportunity to use the Bulk Mailing Permit to send out their own advertising or mailings for their business. Serves as a bridge between the Business Community, elected and appointed officials and Chamber of Commerce in the Mahomet area. Works with other groups to address specific issues that may impact business retention and economic growth of the area. Works closely with the Board and membership to act as a catalyst to educate and promote a new vision of how the Mahomet area business community sees itself through communication, collaboration and focused activities that foster a positive economic environment and ensure a high quality of life. Recruit Business Members: To help the Chamber continue to develop the business and economic growth within our Community. Host After Hours: Chamber Member can host an “After Hours” or a “Meet and Greet” at their location to show their business to the business community. Monthly General Meetings: Held the 3rd Thursday each month to discuss issues developing within our village or business community. Special Speakers attend the meetings to provide insight on local government issues or events that concern our community. Professional Development Workshops: Attend or host professional development workshops to benefit your employees or reach a new audience by hosting a workshop. Guest Speaker Opportunities: Become a guest speaker at the next general chamber meeting! Take twenty minutes to teach our group something new! Network! Network! Network! We have countless opportunities to network with the community from events, meetings, mixers and more! Get noticed in the community. Through the chamber website and social media pages. Use the chamber job posting feature to reach candidates. A link from a local organization to your business is great for SEO. Get a competitive edge with a variety of training and educational options. Defined as a business based out of a retail/office space. Not a home office. Defined as an additional business owned by an already existing Member. Defined as a business based out of the home without office space outside the home. Defined as a church or other religious Institution. Be a part of an organization that makes Mahomet and Champaign County a great place to do business.